The order of seniority is as listed above. The order of popularity is Yang, Wu, Ch'en, Sun, and Wu/Hao. The first five major family styles share much underlying theory, but differ in their approaches to training. In the modern world there are now dozens of new styles, hybrid styles and offshoots of the main styles, but the five family schools are the groups recognised by the international community as being orthodox. For example, there are several groups teaching what they call Wu Tang style T'ai Chi Ch'uan. The best known modern style going by the name Wu Tang has gained some publicity internationally, especially in the UK and Europe, but was originally taught by a senior student of the Wu style. The designation Wu Tang Ch'uan is also used to broadly distinguish internal or nei chia martial arts (said to be a specialty of the monasteries at Wu Tang Shan) from what are known as the external or wei chia styles based on Shaolin Ch'uan, although that distinction is sometimes disputed by individual schools. In this broad sense, among many T'ai Chi schools all styles of T'ai Chi (as well as related arts such as Pa Kua Chang and Hsing-i Ch'uan) are therefore considered to be "Wu Tang style" martial arts. The schools that designate themselves "Wu Tang style" relative to the family styles mentioned above mostly claim to teach an "original style" they say was formulated by a Taoist monk called Zhang Sanfeng and taught by him in the Taoist monasteries at Wu Tang Shan. Some consider that what is practised under that name today may be a modern back-formation based on stories and popular veneration of Zhang Sanfeng as well as the martial fame of the Wu Tang monastery (there are many other martial art styles historically associated with Wu Tang besides T'ai Chi). When tracing T'ai Chi Ch'uan's formative influences to Taoist and Buddhist monasteries, one has little more to go on than legendary tales from a modern historical perspective, but T'ai Chi Ch'uan's practical connection to and dependence upon the theories of Sung dynasty Neo-Confucianism (a conscious synthesis of Taoist, Buddhist and Confucian traditions, esp. the teachings of Mencius) is readily apparent to its practitioners. The philosophical and political landscape of that time in Chinese history is fairly well documented, even if the art later to become known as T'ai Chi Ch'uan's origin in it is not. 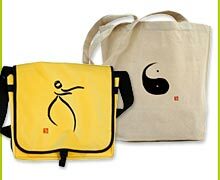 T'ai Chi Ch'uan's theories and practice are therefore believed by some schools to have been formulated by the Taoist monk Chang San-feng in the 12th century, a time frame fitting well with when the principles of the Neo-Confucian school were making themselves felt in Chinese intellectual life. Therefore the didactic story is told that Chang San-feng as a young man studied Tao Yin breathing exercises from his Taoist teachers and martial arts at the Buddhist Shaolin monastery, eventually combining the martial forms and breathing exercises to formulate the soft or internal principles we associate with T'ai Chi Ch'uan and related martial arts. Its subsequent fame attributed to his teaching, Wu Tang monastery was known thereafter as an important martial center for many centuries, its many styles of internal kung fu preserved and refined at various Taoist temples. T'ai Chi has become very popular in the last twenty years or so, as the baby boomers age and T'ai Chi's reputation for ameliorating the effects of aging becomes more well-known. Hospitals, clinics, community and senior centers are all hosting T'ai Chi classes in communities around the world. As a result of this popularity, there has been some divergence between those who say they practise T'ai Chi primarily for fighting, those who practise it for its aesthetic appeal (as in the shortened, modern, theatrical "Taijiquan" forms of wushu, see below), and those who are more interested in its benefits to physical and mental health. The wushu aspect is primarily for show, the forms taught for those purposes are designed to earn points in competition and are mostly unconcerned with either health maintenance or martial ability. 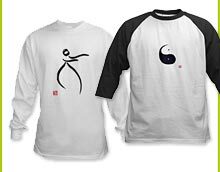 More traditional stylists still see the two aspects of health and martial arts as equally necessary pieces of the puzzle, the yin and yang of T'ai Chi Ch'uan. The T'ai Chi "family" schools therefore still present their teachings in a martial art context even though the majority of their students nowadays profess that they are primarily interested in training for the claimed health benefits. Along with Yoga, it is one of the fastest growing fitness and health maintenance activities, in terms of numbers of students enrolling in classes. Since there is no universal certification process, and most Westerners haven't seen very much T'ai Chi and don't know what to look for, practically anyone can learn or even make up a few moves and call themselves a teacher. This is especially prevalent in the New Age community. Relatively few of these teachers even know that there are martial applications to the T'ai Chi forms. Those who do know that it is a martial art usually don't teach martially themselves. If they do teach self-defense, it is often a mixture of motions which the teachers think look like T'ai Chi Ch'uan with some other system. This is especially evident in schools located outside of China. While this phenomenon may have made some external aspects of T'ai Chi available for a wider audience, the traditional T'ai Chi family schools see the martial focus as a fundamental part of their training, both for health and self-defense purposes. They claim that while the students may not need to practice martial applications themselves to derive a benefit from T'ai Chi training, they assert that T'ai Chi teachers at least should know the martial applications to ensure that the movements they teach are done correctly and safely by their students. Also, working on the ability to protect oneself from physical attack (one of the most stressful things that can happen to a person) certainly falls under the category of complete "health maintenance." For these reasons they claim that a school not teaching those aspects somewhere in their syllabus cannot be said to be actually teaching the art itself, and will be much less likely to be able to reproduce the full health benefits that made T'ai Chi's reputation in the first place. In order to standardize T'ai Chi Ch'uan for wushu tournament judging, and because many of the family T'ai Chi Ch'uan teachers had either moved out of China or had been forced to stop teaching after the Communist regime was established in 1949, the government sponsored Chinese Sports Committee brought together four of their wushu teachers to truncate the Yang family hand form to 24 postures in 1956. They wanted to somehow retain the look of T'ai Chi Ch'uan but make an easy to remember routine that was less difficult to teach and much less difficult to learn than longer (generally 88 to 108 posture) classical solo hand forms. In 1976, they developed a slightly longer form also for the purposes of demonstration that still didn't involve the complete memory, balance and coordination requirements of the traditional forms. This was a combination form, the Combined 48 Forms that were created by three wushu coaches headed by Professor Men Hui Feng. The combined forms were created based on simplifying and combining some features of the classical forms from four of the original styles; Ch'en, Yang, Wu, and Sun. Even though shorter modern forms don't have the conditioning benefits of the classical forms, the idea was to take what they felt were distinctive cosmetic features of these styles and to express them in a shorter time for purposes of competition. As T'ai Chi again became popular on the Mainland, competitive forms were developed to be completed within a 6 minute time limit. In the late 1980s, the Chinese Sports Committee standardized many different competition forms. It had developed sets said to represent the four major styles as well as combined forms. These five sets of forms were created by different teams, and later approved by a committee of wushu coaches in China. All sets of forms thus created were named after their style, e.g., the Ch'en Style National Competition Form is the 56 Forms, and so on. The combined forms are The 42 Form or simply the Competition Form, as it is known in China. In the 11th Asian Games of 1990, wushu was included as an item for competition for the first time with the 42 Form being chosen to represent T'ai Chi. The International Wushu Federation (IWUF) has applied for wushu to be part of the Olympic games. 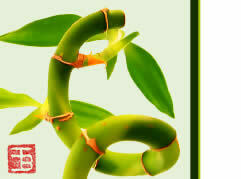 If accepted, it is likely that T'ai Chi and wushu will be represented as demonstration events in 2008. Representatives of the original T'ai Chi families do not teach the forms developed by the Chinese Sports Committee. T'ai Chi Ch'uan has historically been seen by them as a martial art, not a sport, with competitions mostly entered as a hobby or to promote one's school publicly, but with little bearing on measuring actual accomplishment in the art. Their criticisms of modern forms include that the modern, "government" routines have no standardized, internally consistent training requirements. Also, that people studying competition forms rarely train pushing hands or other power generation trainings vital to learning the martial applications of T'ai Chi Ch'uan and thereby lack the quality control traditional teachers maintain is essential for achieving the full benefits from both the health and the martial aspect of traditional T'ai Chi training.